Old singapore 1-cent or 5-cent coins, other county coins did not work at all.I dont know material science,all i can say is their behaviors are very opposite. 5 cent coin[YANG] is very passionate and invigorating,apt toward brightness,liveliness and coloured,shiny. overdose [coins application]caused too much mid and brightness. 1 cent coin [ YING] is very quiet,polite,well control[bass],sonically towards darkside,nothing sparling,over dosage gives dull and dead sound. - let stick a 5 cent coin onto the shell of the 13amp power plug that link to power filter/distributor of your system,after that u should able to hear dramatic difference immediately.Everything becomes so open with sharper focusing,better seperation and layering. stick one more on the fuse box[dont get electro cuted oh!] for further openess. - Let`s do with bass tightening. Place 1 cent coinon the floor directly underneath the speaker on each side right at the centre. If you are using bookshelf speakers with stands,place the coin on the floor,or on the bottom metal plate of the stand,do both if your bass is obesse,if 1 single coin is not strong enough,u can stack up coins and place one more near the rear. Too much curry powder? ADD some SUGAR lor! Now BASS is more controlled,improved,notes much more outlined,clearer and cleaner.Some systems may loose some soundstage,or drop on the floor.Singer shrunk from 6 feet 3 to 3 feet 4,don`t panic, congratulation! Your coin tweak is working fine. do you want to carry on? ...that is a greedy move,endless ending seems to be? Now let us do something to quieten the system a bit,as some have "noisy" systems, may be a wrongly match stuff together.This happens to highend equipments too. Dont stop reading..
Look around,at your rack that support your equipment,are those MDF frames? wooden rack?marbe platforms or templed glass type?.It doesnt matter! trust ME,problem always come from the corners of the boards,place 1 cent coins at the corners may change your mind of buying a new Naim fraim rack[costly]. The improvemnt is very fast and instant! cut grandmom story short,i will list out what you should try. [Bear in mind that your mileage will vary]. Remember all tweaking steps are countering each other and you must judge carefully,in tweaking world,the only world to succeed is "TRY" be persistant,dont gave up easily. 1. After Placing 1 cent coin at the corners,try playing around with 5 cent coin at the centre. 2.For small speaker[with stand],apply the same 5coin combination to the corners and centre of the top/bottom metal plate. 4.Open your CDM1 /4/9 CD tray drawer,stick 1 cent coint on the tray to further enhance the controlling power,sametime lower the noise level. if you want highly analytical power,use 5 cent coin instead. Can try both together- YES, so long both coin are not stacking up by all means. Some CDP hard to apply like cyrus CD8t ,slot in type. 5.Place 1 cent coin on the floor right at the corner behind the speakers to reduce standing wave effect. 6. Stick 1 cent coin on the corners of the celing. .
7. Stick a 5 cent coint at the centre of the wall behind the speakers...Be patient with finding the correct positioning,if your right and left speakers placement are not exactly balance from the side walls,you can fine tune the positioning of this coin towards right or left to offset the imbalance.Stick 2 more 5-cent coin on the right and left from above centre coin,align them in the same height. [roughly 3 feet apart]. ABout the height, you hear lo,i suggest start with 4 feet and work the way up,to a sweet spot where you will be awarded better depth and layering otherwise your soundstaging will not supposed to shrunk. Too much height the sound stage is less focus already..anyway be patient to catch that good spot. Remember by hard- use only ultra thin double-sided tape for sticking coins, no BLUE-Tac whatsoever in coin Tweaks. The Most common problem is the room is too lively or over BOOM! If you find the refelctive sound is too dominant from walls that caused piercing, stick 1 cent coin on the side walls to minimised the refelctivity.You have to determine the best positions,judging from the position of the the tweeter height work the way down as many as you like. 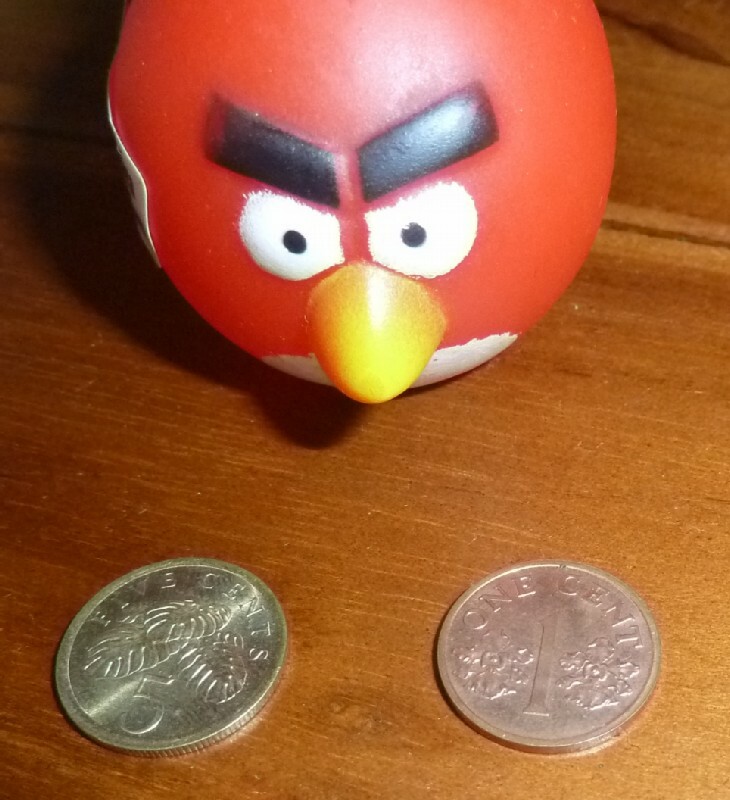 let just Stick 1 cent coin slightly below the tweeter. Same concept can be applied onto the ceiling if you can reach to reduce the bouncing effect. - If your left/right are off balance,say right spk is only 2ft away from sidewall,whereas left is 5ft.In order to increase the "emptiness" from the right you use 5 cent coin instead,let me remind,5 cent coin is never as amicable as 1 cent coin which you can apply more,so 1 piece 5 coin is good enough. - if you have false ceiling acting as huge subwoofer,use 1 cent coin is the most effective way to reduce the "booming sound".Just stick in coins in rows and 2 ft apart. Well these are basic procedure with coin tweaks and they may not be able to solve all your exisiting problems.However i believe to a certain extent they really help.The variations of playing with coins are so so unlimited. I cant say it is the most cost effective tweak perharps YES also,because practically there is no cost involved.May be the cost involve to search for coins,for those who have relatives in singapore.Tell them to keep these coins for you.It is the "cheapest tweak of the decade". Are you with me ? I must thanks to my SIFUs. These tricks/tips are come from him,truely a tweaking Master! I feel very proud of you. You Takecare ! Have fun! i wish you all the best and happy tweaking & listening. To all singaporean Hifi Kaki, Pls do not keep all these coins for yourself, spare some for others. Tq Tq. Tubeezator wrote: do you want to carry on? ...that is a greedy move,endless ending seems to be? Bro, thanks for the tweak. Will alert my in laws to hunt for these coins ASAP!